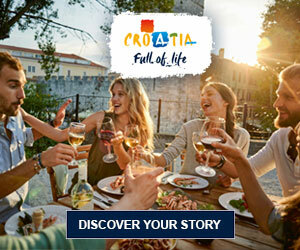 The Association of Croatian Travel Agencies (henceforth UHPA) acknowledges and respects your right to data confidentiality and commits to ensure the secure collection of data on www.uhpa.hr. UHPA collects, processes and keeps your personal data in accordance with the EU's General Data Protection Regulation (GDPR) and other applicable regulations. Data will not be passed on to third parties or exported to third countries. Further use of www.uhpa.hr will be deemed as acceptance of all the terms and conditions described below. The personal information we collect is retained electronically and handled in line with necessary technical and organizational measures that prevent personal data violations. Emails with your personal information will only be used by UHPA with the sole purpose of handling your inquiry. Cookies allow UHPA to collect statistical data on user behaviour at www.uhpa.hr (e.g. where users stay the longest, where their visits are shortest etc. ), which browser they use (e.g. Internet Explorer, Opera, Safari, Google Chrome, Firefox) and so on. www.uhpa.com contains links to other websites (e.g. Facebook, Instagram, YouTube, LinkedIn, Members' homepages). Consequently, we kindly ask users to take into account that www.uhpa.hr cannot be held accountable for their privacy on the afore-mentioned websites. We therefore encourage users to look for and review the privacy policies of websites they access. Providing contact information such as your name, last name, and email address, is required when you want to receive promotional materials from UHPA. Promotional materials include information on services, special offers and newsletters. You can disable the requested service at any time by clicking on the "Unsubscribe" link at the end of an e-mail or by requesting your contact information be deleted from our digital marketing mailing list, via uhpa@uhpa.hr. UHPA will take all security measures to protect user data upon data entry, transfer, processing and storage. Access to data is limited only to those employees engaged in fulfilling business inquiries exclusively. The personal data that UHPA is given at user registration will be kept for the duration of the existence of our website or for however long the user makes us of his / her registration. All of the data collected by UHPA from user web registrations will be destroyed at the very latest when the site itself becomes defunct. Users have the right to request information at any time about how their personal data is processed by UHPA - that is to say, they can request changes be made or for the data to be erased completely by submitting a request to uhpa@uhpa.hr.